Back in December, the student government met to discuss what they were going to do for the New Year. Although there aren’t any socials or big fundraisers, the student government is still working hard. During the meeting, the sixth, seventh and eighth grade boards were sharing ideas, planning and brainstorming the charity work and community service that could be done over the holidays. The new goal was to make sure those who are less fortunate than us had a great holiday as well. Many great charities were mentioned, and there might be an upcoming food drive. The motto of the student government is “Leading our school, leading our world,” and that’s certainly what we’re trying to do; be leaders in our school community and then break off to make a difference in the world. The advisors, Ms. Abel, Mr. Tloczkowski, and Ms. Shea are doing an excellent job of running the sixth, seventh and eighth grade boards. All together, the student government is unstoppable. There were many ideas and plans discussed at the meeting. For example, we recently held a holiday food drive because most food drives end when Thanksgiving is over, but the holidays are still there. We held a food drive for Thanksgiving to feed the hungry. We made plans to go to the Sunrise Senior Center in January when they don’t have many visitors to play music for them and just make them feel good. When the holidays are over and the seniors’ family members go back to school and work, they become lonely, and some classical music can help them be happy. The government had the music teachers set up a day where anyone with an instrument that knows how to play it can go and play a few pieces for the seniors. We set up a bulletin board, so teachers and students can keep up with the latest news, meetings, and fund raisers the board is holding. There were plans to divide it into sections for the different teams, teachers, and clubs to post announcements. It’s going to be painted, decorated, and there is also going to be a section devoted to inspirational quotes and positive quotes to make someone’s day a little better. Secondly, the snack sales that are run by Ms. Shea after school have raised over $100, and they were planning what to do with that money, or what to put it towards. After all, the student government has to do things for the school, too. Our next mission is to bring back the outdoor classroom. We’ve had a few ideas on how to make it more appealing to students and teachers, so we will hold a fund raiser for that. Another idea was to divide the money between charity and the school and then decide what to do. Thirdly, the government was talking about reinstating the recycling program. Our school used to recycle, but then the recycling program was abolished for an unknown reason. It is important to recycle paper, considering how much we throw out every day that just winds up in landfills. Recycling helps the planet, and reinstating the program would be a major accomplishment for the student government and it would help turn our school a little greener and help the environment as well. 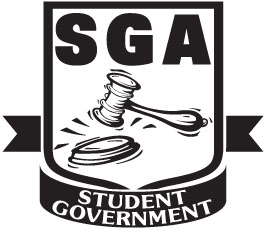 Student Government is all about helping our school, our community, and our world. They’re powered by the schools motto, “Everyone matters, everyone cares, and everyone learns,” and it’s the motivation for all of this great community service and work that the government is doing. Pop in to one of our meetings to spread your ideas on how to make the world a better place!